OUT OF STOCK. The PDF version is available here. I lost Miko during the Kuro incident. She was driving when the light from the missile exploded over Tokyo. It must have blinded her because her car was found wrapped around a tree, her body covered in petals fallen through the broken window. When I found a message from her on my phone I thought it was just an old one I hadn't erased. I kept it, playing it back just to hear her voice. It helped, just a bit, to have a few moments when I could pretend that she was still alive. But more messages starting appearing on my phone. Now I just want them to stop. Because the girl who keeps sending them isn't Miko, and she won't stop screaming. The year is 2046, and something dark has returned to Japan. With an international blockade set up around the beleaguered country following the Kuro Incident, there is no escape. In addition to the meteorological side-effects of the Incident, some people have noticed a sharp rise in disturbing, mysterious and supernatural occurrences. The authorities refuse to acknowledge such obvious sensationalist delusions. Do you have the strength to face the nightmares? 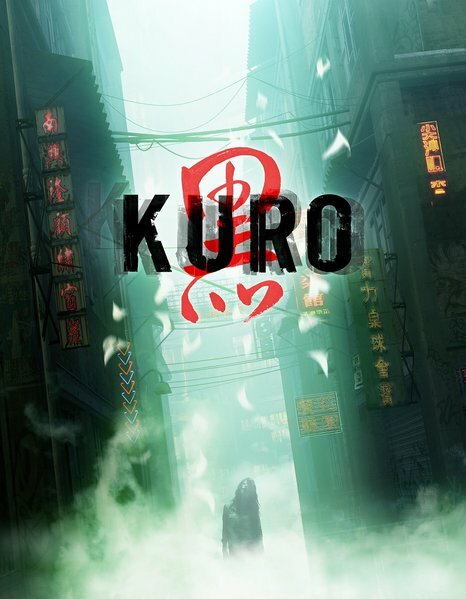 Kuro is the core rulebook of a new near-future game setting influenced by unremitting Japanese horror. Dare you stare into the darkness? The Kuro Incident - Miracle or Curse? Only time will tell how history will remember the events of 4th May 2046. The accidental launch of a Panasiatic Federation nuke at Japan would have devastated the country, but we were saved from this fate when the missile vanished seconds before impact. But saved by what? The violent winds and electromagnetic storm which followed offer clues to the event that science has yet to decipher. Some people have reverted to ancient superstition to explain what happened, muttering about spirits and the 'Wind of the Gods'. But such is always the case in times like these, especially as the consequences of the blockade grow more severe. Personally, I'm sure that we'll find a diplomatic solution before the year is out and, at the very least, not being nuked will always seem like the better option!